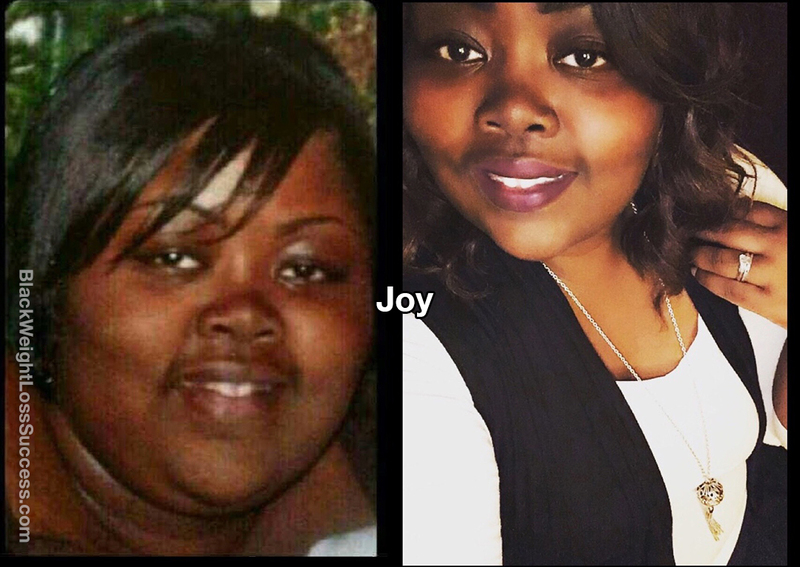 Transformation of the Day: Joy lost 48 pounds. 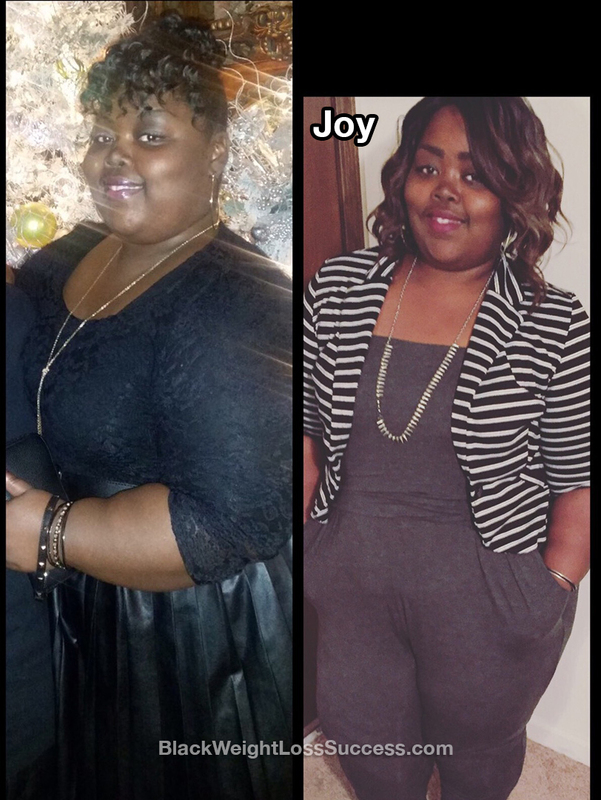 She was tired of being overweight and dealing with painful fibroid tumors. Knowing that she was the only one with the power to change her situation, she started cutting carbs and working out regularly. Her 6 month journey has yielded great results. March 2017. It’s been 6 months and I’m still going! I am honestly tired of being big. I realized that the only person who could change that was me. I also have fibroid tumors which cause me a great of deal of pain. Sometimes. it is hard to get out of bed when they flare up. My doctor told me that weight loss could help ease the pain of the tumors. I’ve only been working out for six months, but my pain level has gone down tremendously. I would look back on old photos from when I was at my heaviest weight and remember how I felt at that moment. I also remember how depressed and alone I used to feel. That is enough motivation to keep me going. I stopped eating a lot of carbs. Honestly, potatoes were my biggest weakness, so I substituted cauliflower for potatoes. I made different things, like mashed cauliflower and twiced baked cauliflower. I workout for one hour 3 times a week. I do 30 minutes of strength training and 30 minutes of cardio. Every day won’t be perfect. Some days, you won’t eat like you’re supposed to. Some days, you won’t make it to the gym. However, if you keep going and it will pay off. My journey is far from over, but I want to encourage others and let them know that they can do it too! Just start! Whether it’s 5 minutes a day or 30 minutes a day, there is no such thing as a bad workout.